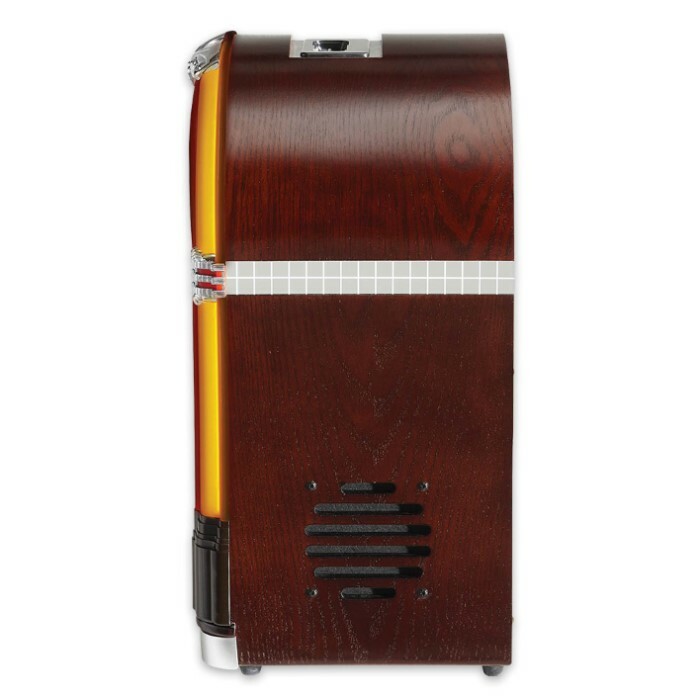 Crosley iJuke Premier Jukebox | BUDK.com - Knives & Swords At The Lowest Prices! 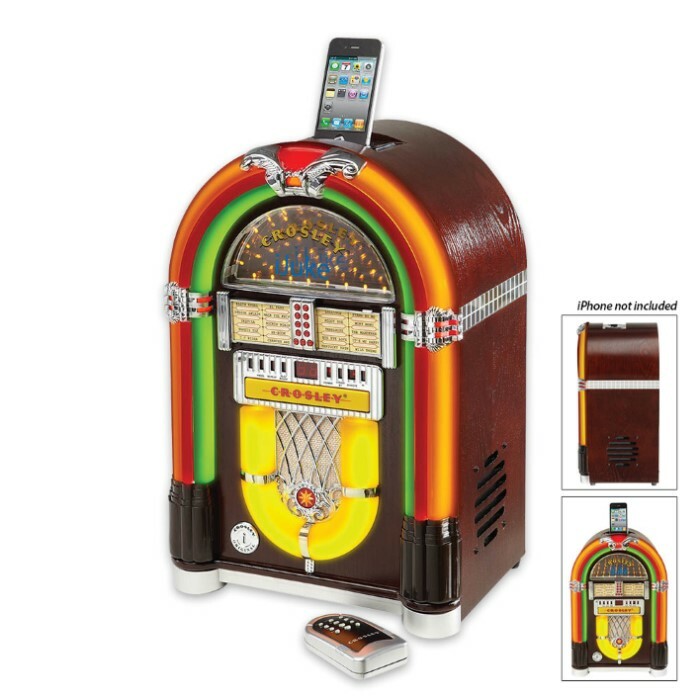 Listen to your music in style with the Crosley iJuke Premier Jukebox! 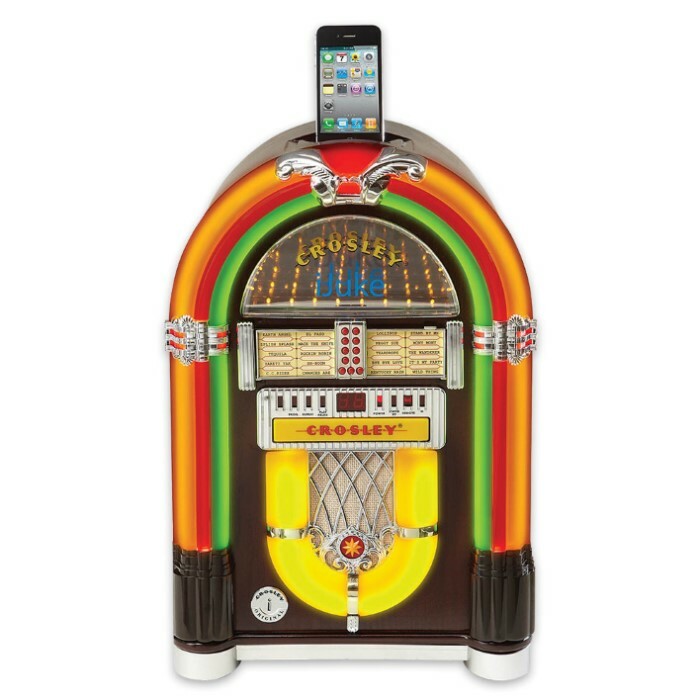 This miniature replica of a full-size jukebox is absolutely fun and will be a great addition to your home. You get the antique look of a jukebox but up-to-date technology for your convenience. It features a universal iPod dock that supports iPods and iPhones with 30 pin connectors. It also has a CD player, built-in stereo speakers and a remote control is included. Authentic neon lighting and a decorative musical playlist are the details that make this piece so incredible.